So what exactly makes a great corporate leader? Where does the drive to transform an organization and help it reach new levels of productivity, efficiency and profitability come from? Truly great leaders have a unique ability to handle multiple projects with skill, determination and an inherent grace under pressure that most people do not possess. Innovative and creative, they have a rare ability to make those around them more efficient, productive and motivated. It’s a rare combination indeed, and once an organization unearths such talent, it usually works hard to ensure superstars have room to develop, grow and flourish. In Wings and Helicopters third annual Top 20 Under 40 report, we highlight some of these top achievers – men and women who have transformed their organizations in maintenance, business operations, flight operations and more. The 20 individuals featured here were carefully selected by our editorial team following an online contest that ran earlier this spring. Candidates were nominated by colleagues based on their influence to drive change, leadership skills, commitment to clients/colleagues, and their forward thinking towards the industry as a whole. Josh Calder, 34, has certainly made the most of his opportunities in his developing aviation career. Since graduating from Georgian College’s aviation management diploma program in 2003, Josh has been a friend, colleague, and mentor to many aviation professionals for more than a decade. From humble beginnings, Josh assisted the Canadian Aviation Expo at the Oshawa Municipal Airport from 2001-2006, and later joined the operations staff at CYLS for his co-op and extended full-time employment. He furthered his aviation experience in 2005 by joining the executive FBO ramp at Skyservice CYYZ, always carrying with him a positive attitude and the aspiration for continuous personal growth. The work/life balance of maintaining a professional career and being an exemplary father – while completing his bachelor of science in technical management with Embry-Riddle Aeronautical University – is a testament to his commitment in providing a fully supported knowledge base to every aspect of his work. This enduring pursuit led him to become the successful flight coordination manager within two different organizations over the past decade. It is here that Josh provided leadership and managerial oversight to his team members and flight personnel alike. Josh’s experience was instrumental when he joined the start-up team at Charter Air Transportation Services Inc. (CATS) in Toronto as the manager of flight coordination. He structured and set up the complete flight coordination department – and continues to provide leadership and oversight to the rapidly growing operation. Paul Campbell, P.L. (Eng. ), 37, was recruited to transform the engineering department at the fast-growing Avmax Group of Companies in 2011 and that’s exactly what he did. First on the agenda: a Transport Canada Design Approval Organization (DAO) to reduce project cycle times by eliminating the need for external delegates. He then focused the department for growth in modifications, repairs and part design approvals to support the large fleet of regional aircraft owned or managed by Avmax, and at the same time, reached out to support other local operators with their engineering projects. Paul’s transformative efforts extend beyond Avmax, touching grass-root initiatives. He is active in the community, having recently completed a long-term involvement with the Air Cadets. As a teen, he earned his private pilot’s licence as an air cadet and is passionate about giving back to a program that helped him gain precious leadership skills. Paul’s philosophy of working to develop young leaders also extends to his fast-growing engineering team at Avmax where he has hired new and recent graduates to engineering roles. A proud graduate of the Southern Alberta Institute of Technology Aeronautical Engineering Technology Program, Paul has 15 years of modification and repair design experience in a variety of key areas. His combination of experience, skill and grass roots involvement perfectly illustrates what this award is all about. Rob Carney, 37, has demonstrated dedication in providing outstanding flight training for emerging pilots for the past 15 years. Rob is the chief flight instructor at the Brampton Flight Centre. Through his tenure at BFC, Rob has actively worked towards the development of professional pilot training. He has played an integral part in the implementation of the BFC IATPL program and the BFC-Sheridan College collaborative degree program. Rob strives to achieve a level of training that goes above and beyond the expected standard. He has been involved in the training of four Webster Memorial Trophy finalists, three of whom achieved first place and one who achieved runner up. As a Class 1 instructor and flight examiner, Rob has transferred knowledge to a wide variety of pilots now in various sectors throughout the aviation industry. Rob is a graduate of the Humber College Flight and Aviation Management program and he recently completed his graduate in Aviation Management from of University of Newcastle. He is currently completing his master’s degree in aviation where he is specializing in human factors and organizational safety. In August, Rob will join Seneca College as an aviation professor. From a very young age, Mallory Deluce, 27, has had a keen interest in aviation. Mallory’s passion for aviation has deep roots that run within the family, including her uncle, Robert Deluce. Robert is the President and CEO of Porter Airlines, and a past executive with several other airlines. Her father and brother are also commercial pilots. At 22, Mallory started working on obtaining her pilot’s license after graduating from university. She obtained her private license at St. Thomas Flight Centre in St. Thomas, Ont. For her multi-engine and instrument ratings, she went to the Professional Flight Centre at Boundary Bay Airport, just south of Vancouver, then came back to St. Thomas Flight Centre to acquire her commercial license and build flying time. In June 2013, Mallory was hired by Air Georgian as a first officer. Mallory’s Air Georgian training began with ground school where she learned about the company operation and about the Beechcraft 1900. After ground school, she trained on a Beech 1900 simulator. When not soaring in the clouds, Mallory can often be found on the ice – playing hockey. She is an accomplished hockey player and has excelled on a number of top levels. She is also a strong advocate for grass roots development, having done numerous media interviews talking about her experiences both as a pilot and a hockey player. Mallory has recently accepted a pilot position with Porter Airlines and will continue her career journey while continuing to be a positive advocate for the industry at all levels. TITLE: Vice-president/General Manager, Avianor Inc.
Graduating from the Ecole Polytechnique of Montreal as a mechanical engineer in May 2005, Mathieu Demers, 31, joined Pratt & Whitney Canada as a quality engineer on the PW300 engine certification program where he developed expertise in statistical and manufacturing processes. Mathieu continued his career as an engineer in 3D design and modelling at the automotive group of Dassault Systems in Montreal. 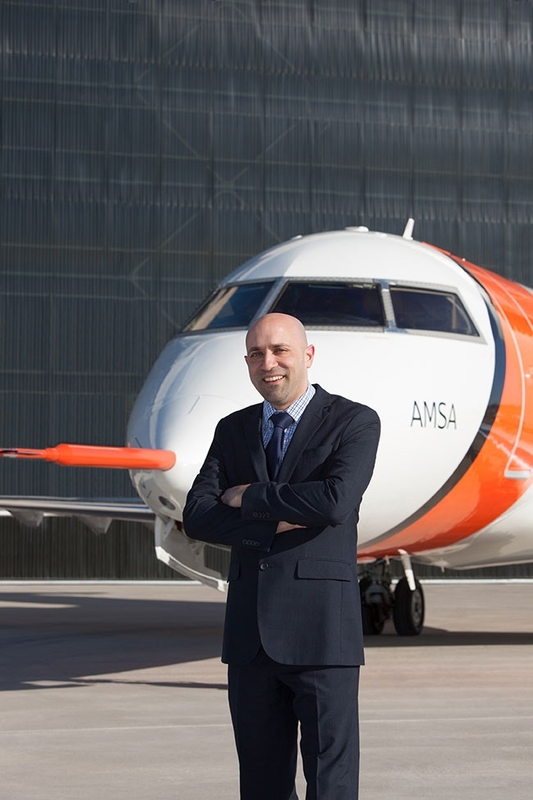 Moving back to aerospace, he was then selected to lead a new design program for the cabin interiors of the Falcon 7X and 900 business aircraft from Dassault Aviation. Mathieu joined Avianor in July 2010 as a project engineer and quickly rose to lead the growing engineering department as well as working more closely with company ownership. He has taken on the positions of engineering director, project management director and special projects director of manufacturing operations and maintenance. In June 2014, he was promoted to vice-president and general manager, a position created by the owners to allow them more time to focus on business development. Since that time, he has surrounded himself with a young team of dynamic managers to support the growth of the company and its ambitious goals. As a truly authentic and inspiring leader, Jay Dilley, 36, continually pushes the boundaries of success. In 2013, Jay was named president of Hawkair. He is a member of the Young President’s Organization, holds the Chartered Financial Analyst Designation, a master of science in management, honours bachelor of commerce and a diploma in aviation studies. An ardent believer of continuing professional development, Jay has earned certificates in Safety Management, Integrated Management Systems, Auditing, ISO 9001 Lead Auditor and Financial Modelling. He has also taught courses for Aurora College and Athabasca University. A board member of the Northern Air Transport Association since 2010, Jay is a committed member of the aviation community. Prior to Hawkair, Jay was vice-president of business services for Summit Air, and had spent eight years in Yellowknife where, among other career highlights, he integrated two charter companies ahead of schedule. Most recently, he launched the airline industry’s first Women in Leadership Executive Development Program to create a culture of awareness, inclusiveness and opportunity for women in aviation. Through his commitment to transparency and communications, Jay is consciously raising the leadership of those around him – he never tires of making those around him better. TITLE: Senior Software Engineer, Aversan Inc. Dedicated, meticulous, accomplished, invaluable. All of these words can be used to describe Sundeep Dhunna, P.Eng., 34, a talented senior engineer at Aversan. These words also describe the ideal aerospace engineer, and in Sundeep’s case, he certainly lives up to the “ideal” part of the description. Co-workers often get excited when working with Sundeep on a project and for good reason. They describe him as a type “A” personality who is passionate, innovative, and motivated to do whatever it takes to see a project through to its end, always doing it right. Sundeep is also known for adhering to, and advocating for, the needs of his team, having an open ear, and setting a good example for his junior staff. Junior engineers often refer to Sundeep as “special forces” – the person you bring in to solve a unique issue in the most efficient and effective way possible. Sundeep started at Aversan 10 years ago as a fledgling junior engineer, eager to show off his talent and potential. His drive and motivation to produce quality work allowed him to advance his career at an exceptional rate, rising quickly to a senior software engineer. In his time with Aversan, Sundeep has achieved a number of significant accomplishments such as designing the COMAC C919 operational software for the cockpit control system – a first for Aversan at the time. Dependable and adaptable, Sundeep is the kind of employee you can always count on to get the job done right. Christa Glover, 31, is the chief pilot of Universal Helicopters Newfoundland and Labrador LP, owned and operated by the Nunatsiavut Group of Companies. UHNL is one of Canada’s oldest helicopter companies operating a fleet of 19 light and intermediate helicopters in some of Canada’s most challenging environments. Christa grew up in a small Coastal Labrador town (Pinsents Arm) of 75 people and had a passion for aviation since a very young age. She started her career 10 years ago with Universal Helicopters and continues to pursue her love for aviation with the company, earning respect and a strong working relationship with both her colleagues at UHNL and its clients. Her flying career has taken her to all parts of Newfoundland and Labrador and north of 60, into Canada’s High Arctic. She has also honed her skills doing her time in the bush, conducting long line drill moves, wildlife capture and forest fire suppression. Now, as chief pilot and a senior aviation manager – and being an aboriginal as well – she has become a role model for others in the industry and those contemplating an aviation career. At a young age and being the only female pilot in the company, this environment may be intimidating to some, but Christa is first to acknowledge that she has an experienced support team of aviation professionals, maintenance and flight crew who support her 100 per cent. A determined, motivated professional with a deep thirst for knowledge and seeking the truth. That’s a great way to describe Carel Issid, 35, legal counsel for the aviation finance division of Element Financial Corporation (EFC). Carel possesses outstanding interpersonal skills and has a great team ethic, which helps her handle multiple tasks under pressure, in a context of tight deadlines and constantly shifting priorities. As she will attest to, a lawyer or legal counsel must, in addition to being an advisor who provides legal expertise, take on a strategic role and excel in developing pragmatic solutions. Carel thrives in her current work environment where entrepreneurial spirit, originality and audacity are encouraged and supported by the company’s senior leadership team. Acting as main counsel with respect to aircraft finance (commercial loans and equipment leasing agreements, as well as the purchase and sale of large-ticket equipment, syndications and portfolio acquisitions). Leading and managing a variety of fixed wing and rotary wing commercial and business aviation transactions originated by the Element Aviation Finance vertical. Identifying potential risk areas arising from the complex and diverse financing arrangements (which often involve cross-border components) extended by the company and issue recommendations in order to minimize the same. Carel was a finalist in the category “Lawyer of the Year” (in house practice), Young Bar Association of Montreal “Leaders of Tomorrow” Gala in 2012 and continues to generate accolades from clients and staff for her dedication, hard work and innovation. For 33-year-old Bhartveer Jaswal, having a career in aviation is the fulfillment of a lifelong dream. Bhartveer started his career with the Langley Museum of Flight and worked his way up into a variety of key supervisory and management roles in aircraft maintenance. At a very early age, he given the responsibility to set up AMO for an airline. Over the past few years, he has improved and streamlined maintenance processes for several companies. A self-learner who motivates and inspires others in being the best they can be in the industry, Bhartveer takes initiative in carrying out maintenance tasks efficiently and with the highest standards of quality. Bhartveer has honed his craft by gaining experience in aircraft maintenance on a number of aircraft including the Cessna 172, King Air, Beech 1900s, Dash 8 and Q400. With Avmax Aviation Services in Vancouver, he caters to the maintenance needs of various customers with their aircraft maintenance requirements. Bhartveer’s dedicated work habits and commitment to excellence make him a key part of the Avmax team – and a worthy recipient for this honour. At age 36, Diana Kelly has risen to a position of major responsibility within NAV CANADA. As manager of ACC Operations at the Winnipeg Flight Information Region, Diana works closely with customers and bargaining agents, and leads nearly 200 professionals that include shift managers, air traffic controllers, and other operational specialists who provide services in Manitoba, Saskatchewan and northwestern Ontario. Diana was appointed to her current role in April 2014. She is one of the first women (and among the youngest) ever to hold this leadership position at NAV CANADA, leading the way for other women in a traditionally male-dominated field. As manager of ATC Operational Requirements from 2012-14, she led the transition from flight-data strips to a paperless environment within high-level specialties and at Flight Service Stations across the region. Her team developed highly successful “safety bear pit” sessions that bring together frontline operational staff and pilots to discuss safety issues and to break down barriers – a collaborative approach that has been identified as a national best practice. She is an active member of NAV CANADA’s national Performance Based Navigation (PBN) Working Group, overseeing implementation of more efficient air routes and ascent profiles for the company’s airline customers across the country. Diana studied education at the University of Alberta (with a minor in German), before becoming a terminal controller and later enroute controller at NAV CANADA’s Winnipeg Area Control Centre. In 2008, she became a unit procedures specialist, and soon after was named shift manager – the youngest at the time and the first female shift manager at the ACC. She has continued her training to complement her various ATC roles and hone her management skills at NAV CANADA. Diana is known and respected for her hard work, personal initiative, drive and strong communication skills. She is a next-generation leader at NAV CANADA who will shape the company’s future in the years to come. Stan Kuliavas, 35, has always been passionate about aviation . . . so much so, in fact, that he was legally able to fly airplanes before he was legally able to drive a car. Stan is the vice president of sales and business development for Levaero Aviation in Toronto, overseeing the planning and execution of the growth strategy of the company. A licensed pilot and graduate of Embry-Riddle Aeronautical University, Stan has nearly a decade of aviation experience, and OEM product involvement. He most recently spent six years as a board member of the St. Michael’s Young Leaders group, raising funds and awareness for St. Michael’s Hospital in Toronto, and currently volunteers with various other charitable organizations. Stan has also sponsored and supported various grassroots efforts such as Careers in Aviation Expos throughout Canada to help inspire both students and adults alike looking to enter the field of aviation. He has also helped with the annual Girls Fly Too event recognizing women in aviation and inspiring girls and women of all ages to explore the various fields of the aviation industry. In addition, Stan has taken part in a relief mission with colleague John Tory, president and CEO of Private Air, to Attawapiskat, First Nation when the reserve was declared a state of emergency in December 2011 for poor living conditions. They co-led a relief trip to Attawapiskat with the help of Global Medic and flew a PC-12 up to the reserve to deliver 100 children’s winter coats and emergency relief. Stan was one of the driving forces behind the recent rebranding of Pilatus Centre Canada into Levaero Aviation, a company with almost 20 years experience in the aviation industry. Stan has always been passionate about the aviation industry and continues to find ways to discover ways to innovate, lead and find new strategic ways to grow both Levaero Aviation and help develop and grow grass routes aviation initiatives. Since joining the Fort McMurray Airport Authority in 2012, Jesse Meyer, 30, led the rebranding of the airport, significantly expanded the food and retail options in the new terminal, and lobbied airlines for additional direct air service to Fort McMurray, amongst other accomplishments. Jesse is the associate vice-president, commercial for YMM, working in a dynamic, creative and fast-paced environment at Canada’s fastest growing airport. He has a broad senior portfolio including promoting the retention and growth of air service, business development, and corporate communications. This calls for the ability to build strong relationships with airline and commercial partners, local and provincial tourism organizations and business stakeholders. It’s an accomplishment that Jesse has achieved with tremendous success. Jesse has also become involved in tourism in the Fort McMurray region. He sits on the Board of the Directors for Fort McMurray Tourism, and is involved with media, communications, and promotions for the Western Canada Summer Games 2015 Wood Buffalo. He also sits on the Marketing & Communications Committee of Airports Council International – North America (ACI-NA). Jesse holds a master’s of business administration in airport Mmanagement from Embry-Riddle Aeronautical University, as well as a bachelor of commerce in marketing from the University of Alberta. Before joining the Fort McMurray Airport Authority, he held positions at the Vancouver Airport Authority, Embry-Riddle Aeronautical University, and Vancouver General Hospital. At 38, Heather McGonigal is Transwest Air’s director of flight operations, a training captain, and SAAB 340 line captain. Heather has always had a strong interest in aviation. In her high school years, her attainment of her PPL was financially assisted by a scholarship that she was awarded by the Ninety-Nines Inc. and also by working as a swimming pool lifeguard. She continued this work while completing a bachelor of arts degree and worked towards her CPL and Instructor Rating. Heather accepted a job at Morgan Air in Calgary and was soon flying charters and teaching multi-IFR. She became chief flying instructor, and in May of 2000, accepted a Jetstream first officer position at Air Sask in Saskatoon. Shortly after she joined the team, Air Sask and Athabaska Airways merged to form Transwest Air in September 2000. Heather was upgraded to a Jetstream captain and a training pilot and was promoted to the SAAB 340 four years later. She was further appointed to senior management positions, which she has now held for several years. Heather’s ability to inspire loyalty and to lead others as part of a team approach to the organization’s operations is perhaps best illustrated in the development of Transwest Air’s SMS program. Under Heather’s leadership, Transwest was one of the first operators in its category grouping to develop and implement a viable SMS. Heather takes a particular interest in mentoring young women who are interested in an aviation career. She also teaches Canadian Aviation Regulation classes at the Saskatchewan Polytechnic Commercial Pilot Program in Saskatoon. Heather is first vice-chair on the ATAC board of directors and is expected to become chair in November of this year. She would be the youngest chair and only the third woman to do so in the 80-year history of the association. Heather is an excellent ambassador of Canada’s air transport industry and a strong role model for aviator’s everywhere. At 35, Curtis Nadon is certainly well accomplished. He currently holds the position of chief flight instructor (CFI) at Mountain View Helicopters (MVH) at Springbank Airport in Calgary. Curtis holds a forest technician diploma, Commercial Helicopter Licence with a Class 1 Instructor Rating and is a pilot examiner and approved check pilot. Curtis’ Forest Technician education steered him towards a seasonal job as a fire ranger for the Ministry of Natural Resources in Ontario. As a fire ranger, he spent countless hours flying to and from fires in Bell 205’s – which sparked his initial interest in aviation. At 23, he decided to purse a career as a helicopter pilot. Considerable industry research led Curtis to relocate from his home in Newmarket, Ont. to Calgary to attend MVH Flight School. After completing his initial training, Curtis was hired by MVH to fly tours at the Horseshoe Canyon in Drumheller, Alta. After getting his start flying tours, Curtis’ flying career took off – literally. He landed a job in northern Alberta flying the R44 Helicopter for Gemini Helicopters, mainly in the oil patch. After a couple years, an instructor position became available at MVH. Curtis applied for and accepted the position, and was trained as a Class 4 Instructor. He achieved his Class 1 Instructor Rating in 2008 and in 2013, took over as chief flight instructor. Curtis did not stop flying operationally when he began his flight training. MVH encourages instructors to work with other companies in the summer to build their experience. Curtis accepted the challenge and now holds type ratings on a wide variety of helicopters. At MVH Curtis, works with a team of five flight instructors to train the industry’s future helicopter pilots. His good natured, patient personality combined with a strong work ethic have made him an invaluable asset to MVH . . . and the industry. Frank Neubauer, 37, works in an environment characterized by high geopolitical stakes and significant implications for the Canadian aviation sector and the economy in general. As a senior policy advisor – a role he has had since 2009 – Frank has consistently demonstrated a superb client service attitude, excellent judgment in his advice to senior officials and ministers as well as great leadership and initiative. Frank is an outstanding aviation professional who manages complex international files directly affecting the viability of the Canadian air industry. He was instrumental in conducting the multi-sector consultations that led to the development of Canada’s international air policy (called the Blue Sky policy). Managing Canada’s participation in the Canada-European Union (EU) Joint Committee, a bilateral consultative body created under the comprehensive Canada-EU Air Transport Agreement. He is a lead technical advisor to Canada’s chief air negotiator for the negotiation of air transport treaties with countries around the world. Frank has consistently demonstrated exceptional dedication to his team, his department and the Canadian aviation sector. He proactively engages with stakeholders from Canadian airports and international carriers and is highly regarded for his expertise. From an early age, Mike Spina, 34, decided to pursue a career in aviation. His passion for flying and aircraft would guide his education and eventually lead him into a career in the aviation industry. Mike graduated from Georgian College in Barrie, Ont. in 2002, having successfully completed Georgian’s aviation management program. Upon graduation, he entered the commercial airline sector and over the course of the next five years, held various operational management roles with Air Transat, Royal Airlines and Jetsgo. Mike acquired valuable operational, technical and commercial experience throughout this phase of his career and, after taking on ever-increasing management responsibilities, Mike decided it was time for a change in direction and sought interesting opportunities that would allow him to further develop his professional skills. In 2005, at the age of 24, Mike joined Field Aviation, a company well known for its capabilities in the modification of aircraft for special mission applications. Mike joined the program management department at Field Aviation, where he continued to further develop his expertise and studied program management. In his role as program manager at Field Aviation, Mike heads a team of skilled professionals involved in the design, fabrication, integration, testing and certification of modifications to aircraft that will configure them as highly sophisticated platforms operating in roles such as border patrol, maritime surveillance and search and rescue (SAR). Mike has successfully managed a number of high profile and complex aircraft programs for Field Aviation in recent years, including U.S. Customs and Border Protection, Icelandic Coast Guard, Swedish Coast Guard, Australian Coast Watch and most recently, Boeing’s new Maritime Surveillance Aircraft. Integral to the overall success of Field Aviation is the contribution of talented aviation professionals including Mike. Amanda Sarginson, 37, began her career in aviation 10 years ago as the sole human resources manager at First Air in June 2005. Amanda now practices law with Emond Harnden LLP and represents more than 30 aviation clients across the country. As a member of the First Air team, Amanda never shied away from a challenge, was the chief spokesperson for negotiations with the dispatch group and supported the negotiation teams for the pilots, maintenance employees, flight attendants and ticket and cargo agents. She played an active role in the grievance and arbitration process for all of the unionized groups. Ever seeking a challenge, Amanda made the difficult decision to leave First Air to conquer her next mission, law school. Excelling in this endeavour as well, she graduated on the Dean’s Honour List from the University of Ottawa in 2011. During law school, Amanda continued to work for First Air and joined Emond Harnden LLP as a student after her first year to deepen her understanding of the legal environment. Amanda is now an associate with Emond Harnden LLP and provides employee and labour relations advice. Her practice includes assisting employers in hiring and terminating employees, drafting policy manuals, defending human rights applications, conducting investigations and representing the employer at mediation, arbitration and collective bargaining. She has also appeared before a Coroner’s Inquest, Human Rights Tribunal/Commission both federally and provincially, Small Claims Court, and the Superior Court. Amanda is passionate about educating those in the industry. Over the past four years, she has provided numerous practical workshops to operators attending the annual conferences for HAC, NATA and ATAC. Since entering the aviation industry more than 10 years ago, John Tory, 35, has had a mindset of continuous improvement. From the early stages of John’s career, the Pilatus PC-12 has played a key role in his development, and it remains a mainstay of his career as Toronto’s Private Air grows under his leadership. Private Air is a division of Levaero Canada, formerly, Pilatus Centre Canada. A natural leader, John’s stewardship at the helm of Private Air involved guiding the company through the recent recession, and positioning the business for growth in its wake. A customer-oriented executive with a keen awareness of for strategic operations, John’s ability to apply big-picture strategic and political elements growth strategy and day-to-day operations helps give Private Air operational flexibility through customized client solutions. John’s constant drive for improvement, growth and expanded capability have put Private Air on a growth trajectory across several areas of focus. John maintains his commercial pilot rating and is active and proficient on the Pilatus PC-12. John is a monocular pilot, having lost the sight in his left eye at the age of 14. And although his main role is president and CEO, he still flies in the line once or twice a month. He is also an active demonstration and training pilot. He has thousands of hours of flying time on the Pilatus PC-12 and has trained PC-12 pilots in a variety of roles including private, commercial, medevac and law enforcement. In 2011, John was part of a relief mission with colleague Stan Kuliavas, vice-president of sales and business development for Levaero Aviation. The relief mission was organized when Attawapiskat, First Nation reserve was declared a state of emergency for poor living conditions. John flew a Pilatus PC-12 used for the mission onto a 3,500-foot gravel runway covered in ice and snow. John is an active volunteer in both the industry and his community. TITLE: Director of Maintenance, Bailey Helicopters Inc.
Phil Wood, 38, is a licenced aircraft maintenance engineer at Bailey Helicopters Ltd. in Fort St. John, B.C. who grew up as a local farm kid 13 miles north of town. Wood graduated from Northern Lights College AME program in 1998, and began his apprenticeship with Northern Mountain Helicopters (NMH), then onto Airborne Energy Solutions and Vancouver Island Helicopters (VIH) for the long term of 10 years. Phil began his next career endeavor with Bailey Helicopters in 2012 starting as an engineer, moving into the position of the quality assurance manager and was then promoted to the position of director of maintenance. Building a team of hardworking, experienced and outgoing co-workers, Phil is a respected leader who has a positive attitude, exceptional work ethic and a good sense of humor to help conquer adversity. All of Phil’s hard work, dedication and commitment have opened many more doors of opportunity along the way. Driving results forward, Phil is a confident, trustworthy leader committed to excellence and efficiency. Bailey Helicopters has a very bright future with Phil and his maintenance team leading the way.